Owner of 10 Sports Clips franchises in Louisiana and Mississippi, with three more planned openings. 2016 Sports Clips Team Leader (franchisee) of the Year, representing more than 1,700 locations. Named LSU 100 Fastest Growing Tiger Business in 2016 and ’17. Active in the Ageless Aviation-Dream Flights for Veterans program and a member of Forum 35. Worked as a laborer at Deep South Crane and Rigging during my high school summers working for barely minimum wage. Learned that summers are extremely hot in Louisiana and that college was a better route for me! Albasha. Combination plate, gyro and chicken shawarma. Achieving my goal of leaving the corporate world to be 100% self employed and comfortably supporting my family by age 35. I live for the big meeting or moment, so I don’t have any trouble getting pumped up. Only one cup of coffee instead of two, so that I won’t be too animated. 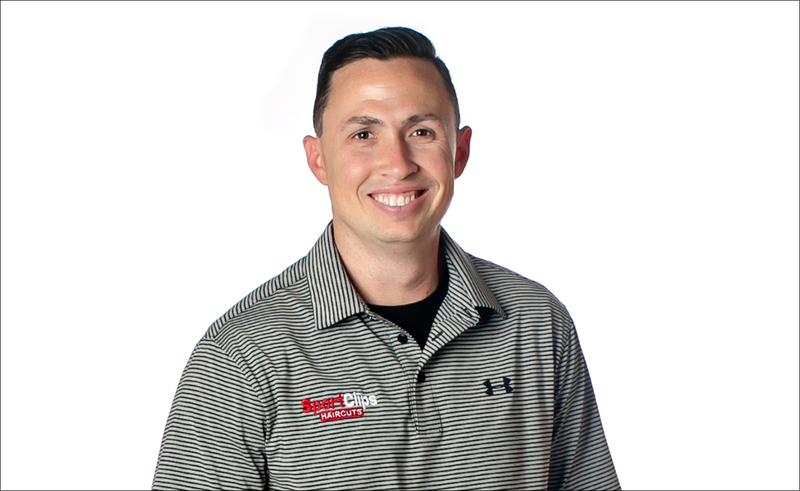 Being recognized as Team Leader of the Year out of all Sport Clips Franchisees in 2016 was the most fulfilling moment because of the effort it took working multiple jobs to get there. My first six years I worked my daily job as an executive accountant at Rubicon LLC in Geismar, while working evenings and weekends with the Sport Clips Franchises. This confirmed I made the correct decision in 2016 to focus 100% on the 10 locations we currently operate. As an auditor at Hannis T. Bourgeois in Baton Rouge, I was able to see many different businesses and how they operated. I loved working there, but really didn’t think I was cut out for preparing financial statements for a living. Seeing different people be successful in business really pushed my entrepreneurial spirit and made me take the leap to work towards owning my own business. Working out around a busy schedule is a great way to provide stress relief and clear your mind. Some people will not appreciate you no matter how much you help them. We have a home office, so if I do not leave home I dress in the most comfortable attire possible, so very casual. If out visiting stores or business meetings, I’m more business casual. I love seeing employees grow personally and professionally. Their having the ability to buy homes for themselves and provide a better life for their families is an awesome thing to see. I hate that sometimes the travel involved takes away time from my family. But having a four-month-old at home the travel hasn’t been all that bad lately! That I was the hardest worker that he’s ever worked with. I am somewhat active on social media, but only to the extent of promoting business and staying in communication with friends and family. Facebook is still the platform I use the most. At least 50 texts, 20-30 emails. At 40% it starts bothering me, at 20% the anxiety attack kicks in. Weather Underground; fresh off the extremely busy hurricane season. It’s not that I wish it was never invented, but with all the good that social media can be used for, it also comes with drawbacks. It’s sometimes used as a platform where false and misleading information can spread quickly, which can cause a major distortion of reality. Between 6 a.m. and 7 a.m. usually. I never go without breakfast. It’s usually at my desk while checking emails. The lives you are likely to have the most influence on are those of your children. Instilling strong values such as a good work ethic and commitment to family can go a long way in setting kids up to become productive adults in society. I try to set a good example to my kids in this regard. Our kids are the future of improving our society, and it’s important to give them the tools to make that happen. Everyone said I’d grow up upon getting married, but my wife may say otherwise. It would have to be when we had our first child, Taylor. Still today, it seems that every decision or move that I make is in the interest of providing a good life for my children. Sandals in Ohco Rios, Jamaica. Drew Brees. The guy is an incredibly humble, hard-working family man. He’s a great leader and probably one of the most competitive guys in the NFL. He’s also becoming quite the businessman with his investments in Walk-Ons and Jimmy Johns, which is fascinating to me. I hope to meet him one of these days and talk business. Of course, if he wanted to talk Saints football instead, I’m all about that. Who Dat! Jim Halpert from The Office. I have been known to pull a few office pranks in my day. Red Wine, Malbec or Syrah. Probably to focus a little more on college and less on the ladies. Not a specific moment but I feel the love my mother has always shown for me, the work ethic my father instilled in me and the competitive nature that I developed playing sports growing up have been instrumental in my drive to grow my business and treat my employees with respect and motivate them to better themselves. Spending more time focusing on raising my children with a good work/life balance. Social media, technology and the fast-paced society that we live in has come at the expense of family time. America is once again respected around the world. Don’t be afraid to take a risk if you are passionate about something. However, have a written plan in place before moving forward and defined goals you are working toward. Also, surround yourself with honest people that will work with you to achieve those goals. I would not be where I am today without my wonderful supporting wife and my employees that work hard on a daily basis. Yes, it’s home. Having grown up in Livingston Parish, I would like to be a big part of the smart growth of the region and give back to the community that’s always supported me. I would build another bridge across the Mississippi River in West Baton Rouge or Iberville Parish. I feel our economy is strong, but if we do not take care of the crime and transportation issues we will have trouble attracting the talent needed to keep our city a step ahead of where we need to be. We are currently more reactive than proactive and that needs to change.